We are looking for new, larger centre, which will benefit many more people. We are therefore seeking donations for the sum of 600,000 GBP. Please give generously. 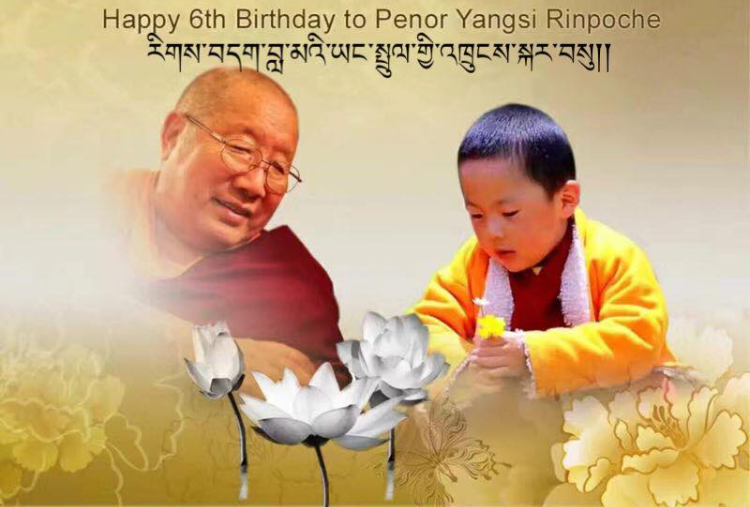 The Palyul Centre UK was established after His Holiness Penor Rinpoche visited London at the start of the millennium, and it was his wish that Buddhism, and in particular, the Nyingma tradition, would flourish in the UK. He therefore appointed Pema Rinpoche and his team to set up the UK Centre. The Palyul Centre UK has been in its present location in London, at Rotherfield Street in Islington for over 15 years. Although it is very small, it has been a valuable base for teachings and practice throughout this time. The Palyul tradition is part of the Tibetan Buddhist Nyingma (early translations) tradition, and Palyul in eastern Tibet is one of the six major Nyingma monasteries. Palyul has over 300 branches across Tibet, and the late Penor Rinpoche was the 11th Throne holder of the Palyul lineage. After fleeing Tibet to India in 1959 he established Namdroling Monastery in south India which now has over 4000 monks and nuns, with branches in Darjeeling and other parts of India as well as Nepal. His compassion and wisdom truly reach across the world. Namdroling is the largest Nyingma teaching centre in the world. His Holiness Dalai Lama has always praised Penor Rinpoche’s legacy, and particularly his hard work when he established the monastery in the 1960’s. Over the years, the monastery has produced many teachers in the monks and nuns who have served throughout the world and particularly the Himalayan region, and some scholars have even returned to Tibet. The Palyul Centre UK is a registered Charity and is also closely associated with the Namdroling monastery. Our Sangha is growing but the space is limited and cannot take more than 25 people at a time. Unfortunately, it is not possible to extend the present building. Therefore, we are looking for larger premises, closer to the outskirts of London, for around 900,000 GBP. The present building will be sold, and is expected to generate around 300,000 GBP of the capital needed. We are therefore seeking donations for the sum of 600,000 GBP. Please give generously. Your donation can help us to purchase a new, larger centre, which will benefit many more people. We are greatly encouraged that the Buddhadharma is flourishing here in the UK. In the future, we would like to invite great Khenpos and Rinpoches to come to the new centre and give teachings and practice guidance. This initiative is made with the full support and encouragement of His Eminence Gyangkhang Rinpoche and His Eminence Mugsang Rinpoche, joint heads of Namdroling Monastery. or you can do it directly at the centre. If you are a UK taxpayer, your donation can be increased by 25% at no extra cost to you through Gift Aid – please click here to access the form. If you need other options (i.e. to use bank transfer or other money transfer services) please contact us. Many thanks for your consideration and we wish you a very Happy New Year 2018!